The beautiful island of Dominica is known for its unspoiled natural beauty. But its musical offerings have also made this tropical island one of the more popular among Caribbean nations. 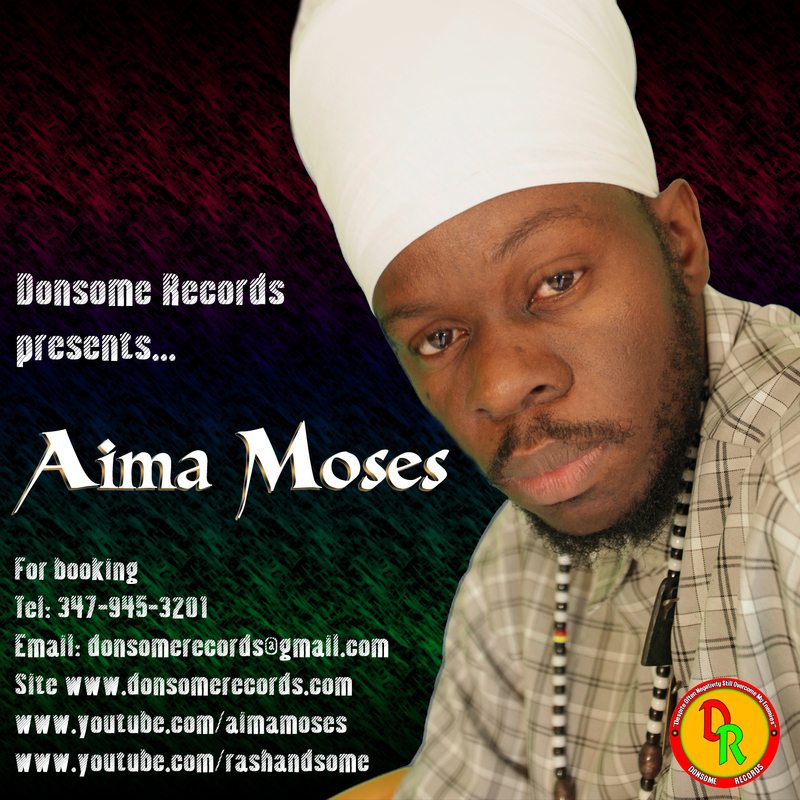 Reggae artiste Aima Moses is quick to point out that music has always been a source of refuge for him. “I am a musical person and I love all genres of music. Growing up in a poor family I got introduced to a lot of different genres from through my parents”, Aima explained. The talented artiste has his sights set on making a name for himself in international music circles. ‘Musically, I am bringing a breath of fresh air to the table. More food for thought and this is one of the things my fans have told me over and over again. More righteousness in the music”, he said reassuringly. One of three children, Moses learned from an early age that sacrifices had to be made to achieve one’s goals. He and his siblings raised themselves after their mother migrated overseas. “Mom went to foreign trying to make things better for us as a lot of mothers from the Caribbean do. Now as for our father well that's another story. That was part of what made me go towards music and writing about my struggles and what I know about”, he said. Born Amaziah Moses, he got the name Aima as a nickname while he was still a child. He was quite active on his school’s choir and honed his musical chops, preparing himself for the musical journey that he would later embark on. “I was involved in choirs during my primary and high school years. I see every artist as having a gift from the most high which we should all use for the benefit or our nation and the world”, Moses explained. He has been recording professionally since 2005 when he made his debut with the single Fire Fire. That same year he released his debut album No Barriers. Among his better known songs are, I Smoke, Lady You, Come Closer, Can’t Stay, All the Same, My Love, No place and Keep it Real. 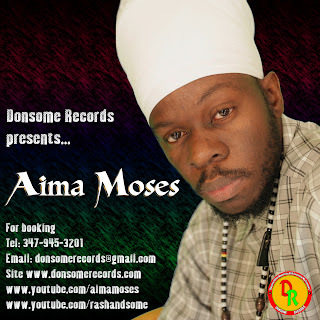 Aima Moses has worked with a number of producers in reggae music not only across the Caribbean but across Europe. “I have worked with producers including DeYoung Norville, Black Kings, Gold Cup Records from Italy, Red Boom, Mani Bwoy and Harmoney from Jamaica; Ras Bruno from the UK, and Ayun Productions from Miami”, Aima revealed. The artiste recently signed with Donsome Records to take his career to the next level. “The relationship with Donsome is wonderful and I admire the way they work with the business. When you are working with people there has to be a certain spirit and chemistry that inspires you, and I feel that with Donsome Records”, Aima confided. He is currently working on an album for Donsome Records. Some of his current singles include One in a Million on the Queens rhythm; and Can’t Stay.